Patients cared for by fulfilled caregivers in healthy work environments are twice as likely to report high satisfaction. Caring leaders create holistic, nurturing, inclusive work environments that decrease turnover, improve nurse retention and nurse recruitment, improve patient outcomes, and decrease costs… a place every nurse dreams to work. Expressing care and focus on employees. Improving the overall professional and personal work-life balance of all team members. Focusing on improving retention and job satisfaction. Engaging and nurtures staff over the coming years. Creating a culture of health and caring. Initiatives are sponsored and championed by your hospital’s leadership. 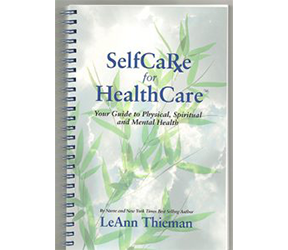 LeAnn Thieman created SelfCare for HealthCare with leading CNOs from around the country, as well as experts on how adults learn in order to establish sustainable behavior change. Investing in a full year for everyone at your organization costs less than replacing the nurses that might leave your hospital today. Leadership engagement and support is critical to the mission and success of any program. LeAnn meets with key leaders virtually prior to launch, then on-site to assess your organization’s specific challenges and goals; she tailors her program to meet your needs. Together, a customized plan is developed for the execution and implementation of SelfCare for HealthCare. Quarterly contact with leaders addresses ongoing or changing needs, and assures success. LeAnn sends invites to all staff to motivate and garner enthusiasm for the initiative prior to the official launch on site. On the day of the launch, LeAnn meets with leaders prior to her presentations to reinforce the plan and maximize support and success of the initiative. 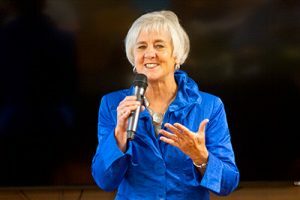 LeAnn delivers her riveting SelfCare for HealthCare presentation four times a day for two days, providing all staff members multiple opportunities to attend this mandatory session (CEUs available). 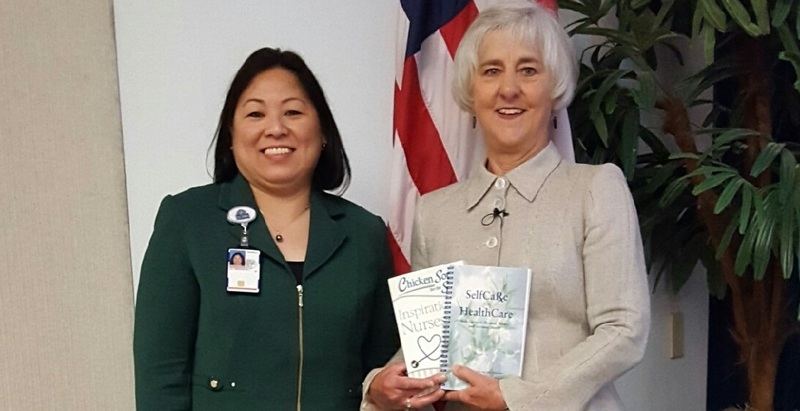 By sharing Chicken Soup for the Nurse’s Soul stories and those from her own 30 years of nursing, LeAnn encourages and honors nurses and all members of your healthcare team. With compassion and humor, she introduces her 12 tools for SelfCare. Staff members go back to work recharged, and recommitted to care for their patients and themselves! Together with your Chief Nursing Officer and/or leaders of your choice, LeAnn tours every unit to greet, encourage, and consult staff, boosting enthusiasm, compliance, and morale. LeAnn will assist in the selection of Champions from each department. Monthly tip sheets offer activities to reinforce engagement and strengthen teamwork to nurture a safe, productive environment. Quarterly virtual consultation meetings connect Champions to provide support and idea sharing. To begin each month’s lesson, staff members view a 7-10 minute video of LeAnn introducing that chapter’s SelfCare strategy. This fun, motivational speaking session will be viewed on your organization’s intranet service, at each person’s preferred time and place (even at home in their jammies! ), reinforcing the work/life balance message. LeAnn’s Implementation Specialist sends surveys prior to the launch, at six months, and at year’s end to measure success and results. 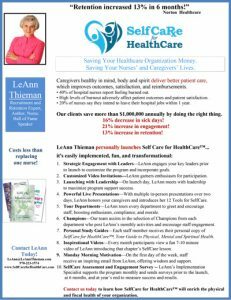 As a SelfCare for HealthCare client, you will have access to additional offerings from LeAnn Thieman that will boost your nurse recruitment and nurse retention. This decade is the first time in American history that four different generations are working side-by-side in the workplace. “Generational tension” is ranked among the top major issues affecting U.S. workers. In this fun, entertaining, highly educational keynote or concurrent session, audience members will learn the history, traits, and values of the four generations and identify ways to relate to, manage, and even appreciate the differences. This information is critical, not only to better understand coworkers, but to attract, interview, and hire the right staff. Sharing this knowledge with all workers and caregivers decreases nurse burnout, negativity, resentment, and turnover in the workplace and increases cooperation, retention, and productivity. This knowledge is also applicable and appreciated to better understand and care for those we serve… which is the common goal of all. A sign above a pediatric burn unit in Vietnam read, “It is better to light a single candle than to curse the darkness.” LeAnn reminds audiences they don’t have to fly into a war zone to make a difference in the world. No effort is too small. LeAnn shares her photos and story of Operation Babylift and reminds people that by lighting our single candles, we make a difference and set the world aglow with our goodness. When we identify, explore, and share our gifts, we receive more than we give. While rewarding, caregiving and nursing require tremendous emotional, physical, and spiritual stamina, making burnout an everyday challenge. In Chicken Soup for the Caregiver’s Soul, LeAnn offers remedies by encouraging caregivers to care for themselves as devotedly as they do for others. By sharing stories from Chicken Soup for the Caregiver’s Soul and her own life experiences, she fills caregivers with hope, courage, and strength while honoring them for the difference they make in the world. Scientific studies prove positive thinking and visualization promote mental, physical, and spiritual health. By sharing medical research and her Airlift experiences, LeAnn empowers nurses and physicians to improve their health by improving their attitudes. In this deep-dive interactive seminar, LeAnn, a former childbirth educator, teaches how labor tools – breathing, relaxation, positive thinking & visualization, prayer & meditation, and management of time all apply as we “labor” through everyday life.